If you are in need of trustworthy and effective legal counsel, David E. Simmons Attorney at Law is happy to discuss the details and nuances of your case. Attorney David Simmons is committed to providing swift, responsive legal advice about estate planning, real estate, business planning, commercial transactions, residential and commercial landlord/tenant law, evictions, and more. He is here to answer any of your legal questions thoroughly and honestly. There is nothing more important than protecting our loved ones from harm and hardship. Many people have preconceived notions that estate planning is only for the wealthy, but this is far from the truth. Whether or not you have amassed wealth or own very few assets, estate planning allows you to have a say in important life circumstances, even when you cannot communicate your wishes yourself. David E. Simmons Attorney at Law recognizes that each client and family is unique and deserves the benefits of a secure estate plan. We can help you assess your finances and goals to preserve your wealth and your legacy. If you are an individual, business, real estate company, or property management company, any real estate transaction or closing is an investment of time and resources. You need a trusted real estate attorney who will represent you in this important, complicated process. If you are purchasing, selling, or developing commercial, office, or residential real estate, we can help you ask the right questions and protect your investments. Since 1986, David E. Simmons Attorney at Law has been helping clients in Little Rock and the surrounding areas tackle complex legal matters. If you have questions or issues concerning estate planning, real estate law, business law and planning, commercial transactions, residential and commercial landlord/tenant law or evictions, attorney David E. Simmons is ready to talk with honest answers and workable solutions. 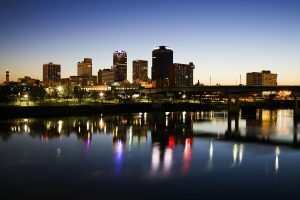 David E. Simmons Attorney At Law provides successful representation to clients in Little Rock facing legal matters pertaining to real estate law, estate planning, and business law. Contact our office today at (501) 374-5417 to schedule a consultation with an effective Arkansas attorney.